Installing marble, quartz, or granite countertops can breathe new life into your bathroom or kitchen design. Natural stone countertops are incredibly strong and durable, resisting heat, cracks, chips, and stains. With the right countertop care and maintenance, your new bathroom kitchen countertops will stay beautiful and functional for years. At Affordable Granite & Cabinetry Outlet, we’re dedicated to helping you care for and maintain your natural stone countertops for as long as you use them. Today’s post will provide you with an in-depth guide to proper care, and we’ve also included a short education video for your convenience. Review the resources below, and get in touch with our Newburgh kitchen remodeling experts if you have questions, or if you would like to learn more about a granite countertop installation for your home! If you have quartz, marble, or granite countertops, then you should get into the habit of cleaning them daily. You don’t necessarily have to use a chemical cleaning agent every day, but wiping your counters with a warm cloth can prevent crumbs, spills, and dust from building up. When it comes time to clean your countertops with a chemical product, make sure that the product is designed to be used on natural stone surfaces. Unlike tile and other synthetic materials, granite and other natural stones will react when exposed to certain substances. Never use ammonia, bleach, or any other chemicals that are not specifically labeled for use with natural stone surfaces. In addition to breaking down the stone itself, these chemicals will damage the sealant and cause your once-brilliant countertops to become dull and hazy. On a related note, never set any cleaning products directly on your countertop. For instance, make sure that you set bleach on the bathroom floor instead of on the countertop if you’re doing a deep clean. Getting into this habit will prevent you from inadvertently damaging your investment! 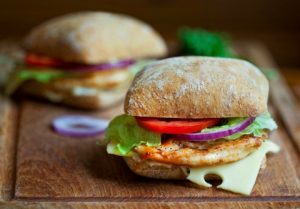 Many homeowners believe that they can use their natural stone countertops as cutting boards when preparing food, but we highly discourage this practice. Granite kitchen countertops, for instance, are extremely durable, but can be scratched by sharp kitchen knives. Moreover, your countertops can actually dull and damage your knives! Instead of risking damage to your countertops or your kitchen cutlery, invest in high-quality cutting boards that you can use whenever you’re preparing meals. Many homeowners who invest in natural stone countertops choose to install a bar or kitchen nook. We applaud this idea, as a small breakfast nook or bar can breathe new life into your kitchen and provide you with a multipurpose space. If you’ve chosen to go this route in your kitchen remodel, then we recommend that you invest in coasters that you and your guests can use whenever you’ve poured beverages. Both hot and cold liquids can damage your countertops and leave etch marks, and coasters are significantly more cost-effective than repairing or replacing your countertops! Cleaning spills as quickly as you can is always a good idea, but it’s imperative if you have natural stone countertops. 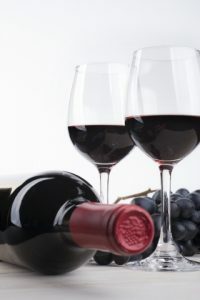 Certain substances like coffee, wine, and orange juice will break down the seal on your countertops and damage the stone itself. When you’re wiping up spills, make sure to blot the liquid instead of wiping it. This prevents the spill from affecting the countertops more than it already has, and this method will also take you less time! Whether you have marble, quartz, or granite countertops, you should make sure that you seal them at least once per year. A strong sealant will give your countertops a beautiful shine that lasts well into the year, and it will also act as a first line of defense against spills, stains, and other forms of damage. Contact Our Kitchen Remodeling Experts Today! We hope that today’s entry will help you maintain your natural stone countertops. 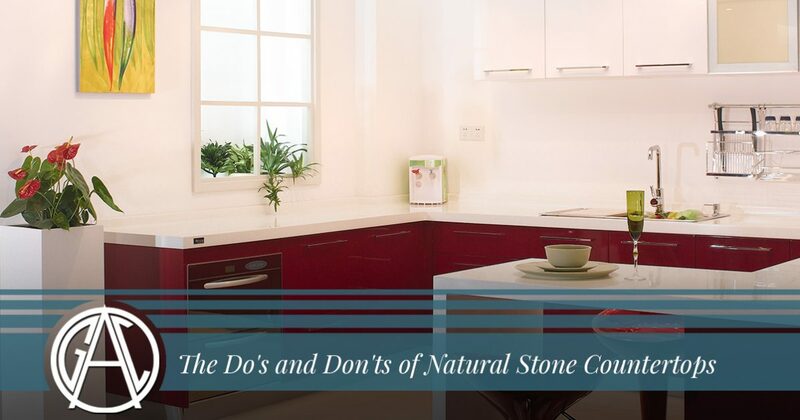 Keep an eye on our blog page, as we’ll continue to provide you with even more information about natural stone countertop care in the coming weeks and months. Affordable Granite & Cabinetry Outlet proudly provides a number of kitchen remodeling services in Newburgh, and we would love to help you install natural stone countertops in your home. Get in touch with us today to request an estimate!